The Uckfield Music Club was founded in 1944 by a group of musical enthusiasts led by Vera Maconochie (later Thomas), herself a distinguished soprano, and including Lady Parry, James Scott, a local builder and organist, Bess Cooper, a member of a major local choir at the Congregational Church. They were later joined by Sybil Bannister. The first season that year featured the celebrated pianist Denis Matthews, who actually arrived on Uckfield Station from London in Service uniform. The allied invasion of Nazi-held Europe was already well advanced. A pattern of five concerts developed, staged over the winter months, and for many years there was also a carol concert in the Parish Church given by the choir of Ardingly College. The Club has always sought to provide a platform both for artists with established reputations, nationally and internationally, and for young talented artists in the early stages of their careers. Many musicians who were or later became household names and internationally famous came to perform in Uckfield, among them oboeist Leon Goossens, guitarist John Williams, violinist Nigel Kennedy, and the Piano Trio of Edmund Rubbra, Erich Gruenberg and William Pleeth. Concerts were given for many years in the Uckfield Town Hall, now the Library, when the Club acquired its own concert grand piano. In later years, the concerts were staged in the Uckfield Community Technology College, and the piano was housed there. Then in 2005, when the Club was looking for significant change, the opportunity arose to move our concerts to the beautiful setting of St Margaret’s Church, Buxted Park, and to stage them in the summer, not the winter. This possibility received the blessing of the Rector and Church Wardens. 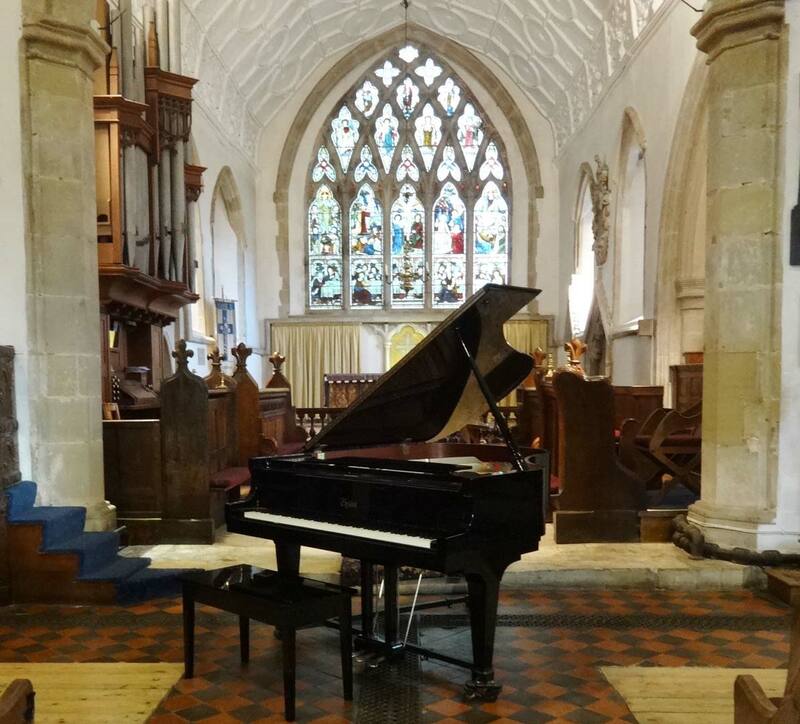 A further important catalyst for this change was the fact that St Margaret’s, through a generous legacy, had just received the gift of a new Boston grand piano, made under the Steinway licence which would be of sufficient quality to enable us to present solo piano recitals as well as ensembles, as we had always done. Thus, we no longer needed to own, house and maintain a piano of our own and could sell the one we had. This gave the Club a measure of financial stability to embark on a relaunch. There is now a shorter season of three concerts, and these have proved so successful that the Club in 2014 chalked up its Diamond Jubilee!